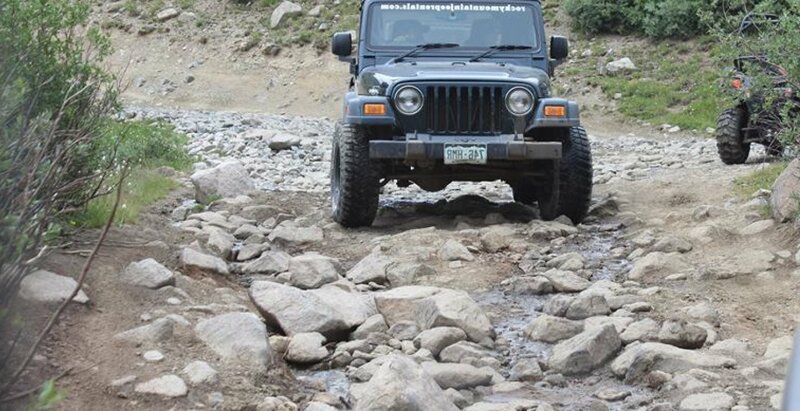 Jeeping and 4x4 Off Roading in Colorado is a great way to explore terrain that is difficult to access by any other means and experience the region’s highest mountain passes. Fourteener Country’s rich mining heritage is best appreciated by visiting the remote areas where mines flourished. Routes range from easy dirt roads to extremely rocky trails that only high clearance 4x4 vehicles with experienced drivers should attempt. Exploring the mountains on a jeep is something anyone can do. Let one of the area guide services take you on a tour, rent a Jeep for the day, or take your own 4x4 out for an adventure. Remote alpine lakes, historic ghost towns, beautiful waterfalls and wildflowers abound in the high country. A few warnings: Be sure to have a quality map. Never drive on routes above your driving level or your vehicle’s capability. Always be prepared for flat tires, the weather conditions, other hazards. And always carry plenty of water.